NYC has so many neighborhoods that are truly unique in their own way. One of those neighborhoods is Greenwich Village or as New Yorkers call it, “The Village.” We just want to point out real quick that there has been some confusion about where the West Village is in comparison to Greenwich Village. To our knowledge, the West Village is part of Greenwich Village. 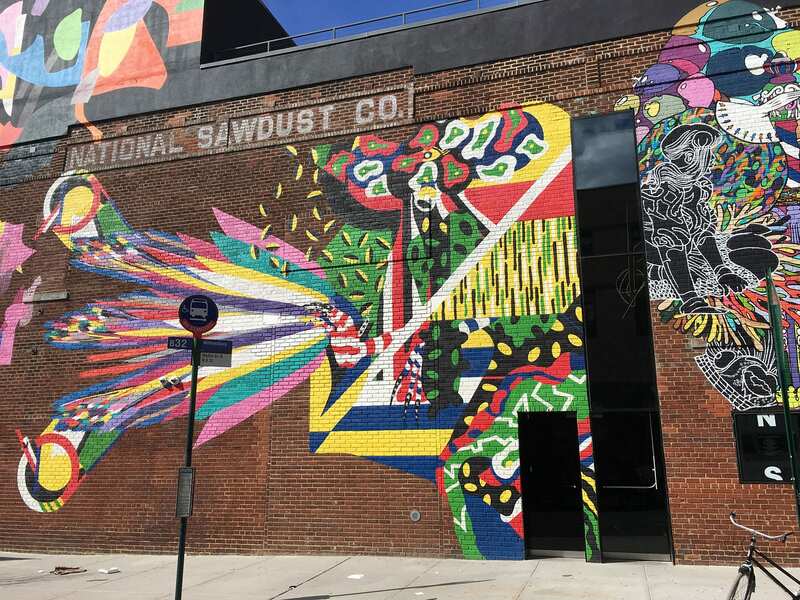 With that being said, there are a bunch of things to do in Greenwich Village and this guide will point out exactly where to go and what to see. Getting to Greenwich Village is very easy, but can also involve a lot of walking once you’re actually in the village itself. There are numerous stations right on the border of the neighborhood. If you want to venture more into the area, you would have to walk or take a bus. There are a lot of things to do in Greenwich Village so we recommend taking in the scenery by walking. To get to the Village, you have the option of taking the ACEL trains to 14th St./8th. Ave station. The next subway is 14th St./7th Ave which houses the 12 trains. If you’re coming from New Jersey, we think you have the best stops. There are three stops on the PATH train that go through Greenwich Village. Those stops are 14th Street station, 9th Street station and Christopher Street station. Those who prefer to explore the village with a knowledgeable tour guide can do so during the 3.5 hour “Greenwich Village Tour.” The New York Pass, offers this tour in their program. Information about the pass can be read here. Skyscrapers are non-existent in Greenwich Village. Instead of expensive apartments in skyscrapers, there are expensive residential units within the neighborhood. Many of the brownstones and townhouses date all the way beginning of the 19th century and are now privately owned by many wealthy New Yorkers. Also, another notable thing you should take note is that the narrow streets have names and do not contain any numbers like anywhere else in Manhattan. There are a lot of things to do in Greenwich Village, so we’ve narrowed down our top 5 just in case your time is limited. Below this list, we’ll explain other places that you should visit within the neighborhood. The “Friends” Apartment – Everyone is familiar with the TV sitcom “Friends.” It’s considered one of the greatest sitcoms of all-time. Lucky for you, the Friends apartment is located right here in Greenwich Village. The exterior of the apartment was shot in NYC, but the rest of the show was shot in a studio in Los Angeles. The apartment is located on the corner of Bedford and Grove St. You’ll always see a flock of people taking pictures, so you can’t miss it. If you’re a true Friends fan, you definitely won’t miss it. Spend Some Time in Washington Square Park: Washington Square Park is gorgeous. You’ll see the Washington Square Arch which is a replica of the arch in Paris. You’ll probably also recognize it in numerous movies such as “I Am Legend” and “Hitch.” It’s an iconic location and is one of NYC’s go-to spots. It’s not just the arch that attracts tourists there. There are always events going on in the area as well. 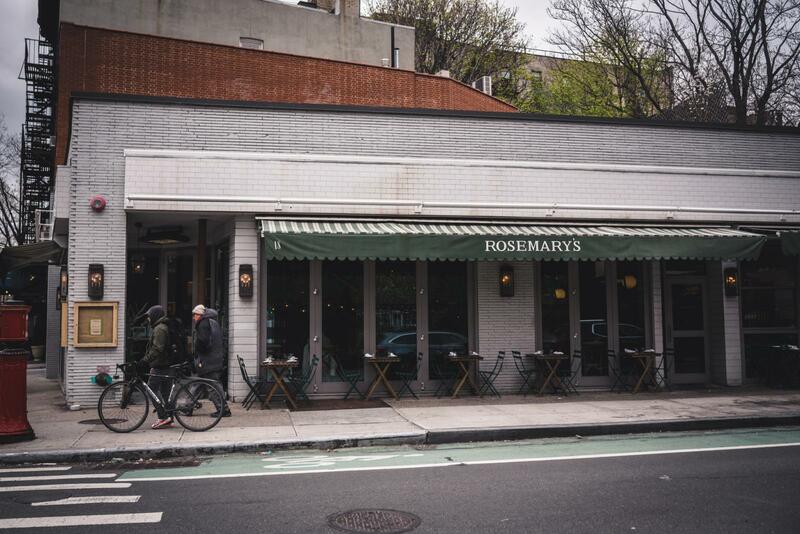 MacDougal Street: Foodies, make your way to this street if you’re ever in Greenwich Village. This street is loaded with bars and restaurants. It’s also a historic street as well. IFC Center: This theater screens independent movies. Once you see this center, you know you’re in the neighborhood. 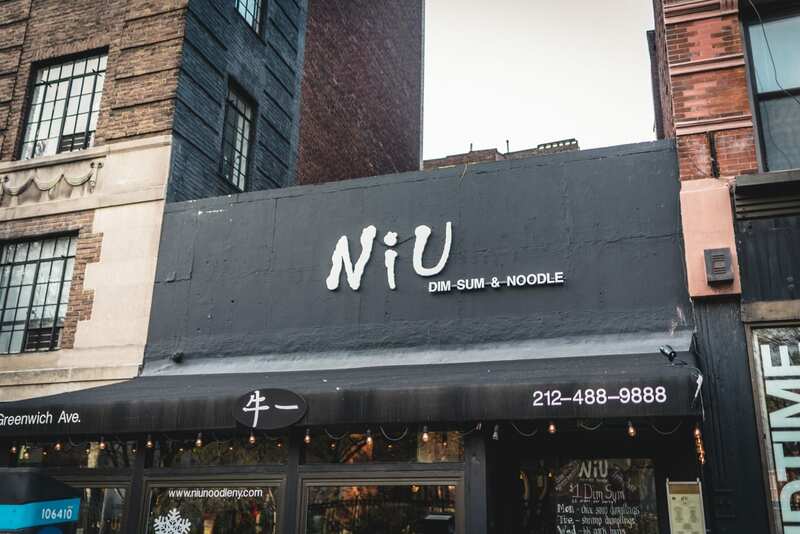 It’s a pretty unique experience and definitely one of the things to do in Greenwich Village. 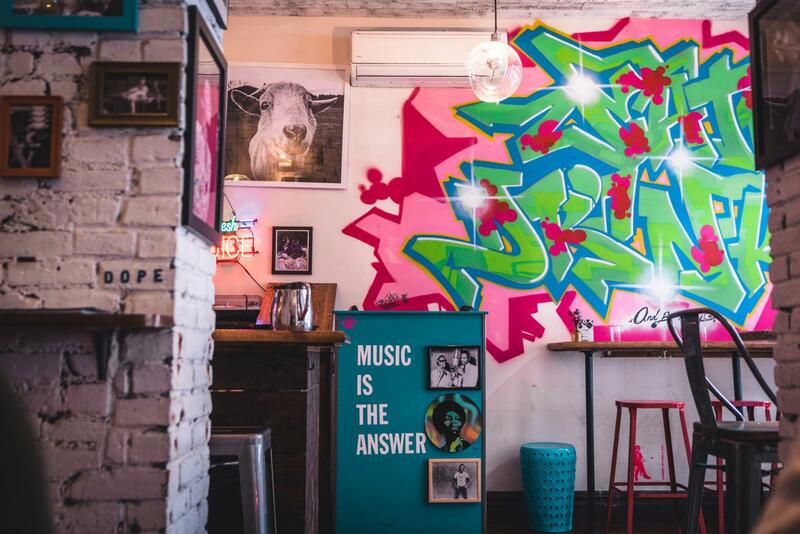 Fat Cat: If you love jazz, then the Fat Cat is the place to be. Here you can enjoy drinks, live music, a ping-pong table and it’s a great place to meet with friends. It’s a historic neighborhood and very trendy as well. There are a lot of activities that are constantly happening and there are many restaurants, bars and cafes. You really can’t go wrong in this area. Greenwich Village has so much to offer which includes the smallest street in New York City. The name of the street is “Gay Street” and is located near the Gay Liberation Monument in Christopher Park and very well known in the Village. Christopher Street in 1960 was the center of the LGBT movement and is a symbol and functions today . On Christopher Street, the Stonewall Uprising took place on June 28, 1969 at the Stonewall Inn Bar, an important event for the movement. Every summer there’s an LGBT rights demonstration and has become a tradition. New York’s Gay Pride Week takes place in June every year, and then everything around Christopher Street is decorated. Christopher Street is a vibrant street that is well worth the visit. Built in 1880 and still operating today is the White Horse Tavern which became popular because writers, poets and artists such as Dylan Thomas made this bar their go-to spot. It is said that Dylan Thomas had his last drink at White Horse Tavern before dying at the Chelsea Hotel. Even today, portraits of Thomas hang in the restaurant and reminds everyone of their famous guest. This bar is one of the 10 oldest in New York and has physically survived the changing times over the years (Address: 567 Hudson Street). Another classic spot is Cafe Wha?. Bob Dylan, Jimi Hendrix, Bruce Springsteen, The Velvet Underground, Cat Mother & All Night Newsboys, Kool and the Gang, Peter, Paul & Mary, Woody Allen, Lenny Bruce, Joan Rivers and Bill Cosby are just some of the greats that were frequent visitors when they were just starting out their careers. Today, you can listen to live music here and you should definitely have an evening at Cafe Wha? (Address: 115 Macdougal). Spread over 9.8 acres, Washington Square Park is centrally located in the Village. It’s close to New York University and is home to the beautiful Washington Square Arch which was dedicated in 1895. Washington Square Park is a popular place in fine weather and one of the best things to do in Greenwich Village. One of 1700 parks in the city, Washington Square Park is one of the most popular in New York. If you are lucky, you can even enjoy a free jazz concert from the many jazz artists of the Village. Here, friends and family meet to relax, play chess, or just in general have a good time. The Jefferson Market Courthouse is located in Greenwich Village and in 1880, the building itself and was dubbed one of the most beautiful buildings in the United States. This Gothic building was built in 1874-1877 by the architects Frederick Clark Withers and Calvert Vaux. The building was a courthouse until 1945 and now you can come here to borrow books. Just like many neighborhoods in NYC, you won’t really find mainstream stores in this neighborhood. What you will find however are specialty boutiques and vintage stores. The price points are a little bit higher in this area. Stores like Star Struck Vintage Clothing and Brooklyn Industries are spread throughout the Village. If you’re into chocolate, the popular Jacques Torres Chocolate also has a store here. Come by the neighborhood and check out what they have to offer. Museums and the art scene really differs between each neighborhood. Greenwich Village is no different. Here are some of the places you can check out. The Rubin Museum of Art is a treasure trove. For three decades, New Yorkers Shelley and Donald Rubin have been collecting Buddhist art, mostly from the Himalayas. You can see impressive mandalas, meditation pictures and exhibitions of contemporary Asian artists. Hours are Mon, Thurs 11-17, Wed 11-19, Fri 11-22, Sat, Sun 11-18 pm at 150 W 17th Street between 6th and 7th Avenues. The entrance fee is $10. If you have children with you during your trip to NYC this is definitely one of the things to do in Greenwich Village. The Children’s Museum of the Arts lets your kids view art as well as make it which makes it great place to be creative and open their minds to abstract ideas. This is New York University’s fine art museum in Greenwich Village. It is right on Washington Square Park therefore making it a great location to visit. The museum puts on exhibitions about human culture where they acquire and preserve different artifacts that pertain to that specific subject. If you want to learn more about the museum, please click here. At Greenwich Village, you won’t really see too many high rises. Families and college students mainly make up the population here. It’s a historic location with a lot of things and events that you can check out. People can visit museums, a beautiful park in Washington Square Park and just has a nice vibe in general. 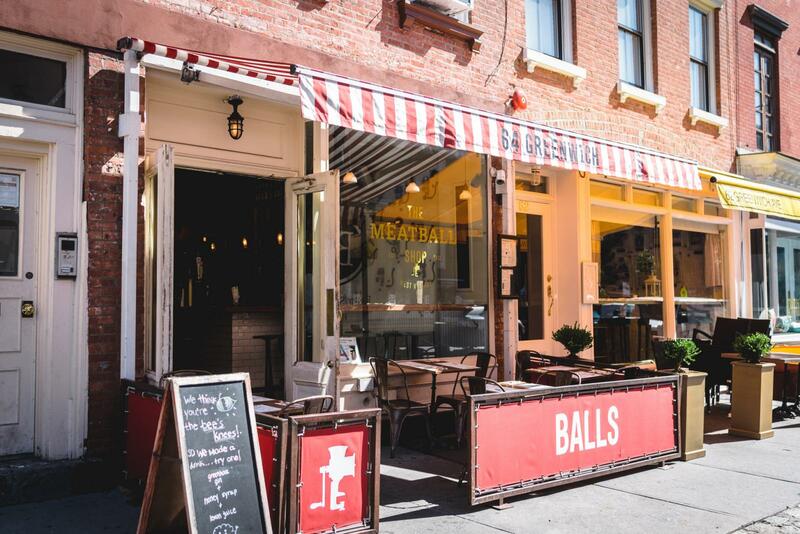 If you enjoyed Greenwich Village, then make your way to East Village, SoHo or even the Meatpacking District. Each one of these neighborhoods are different from each other but are also very close. The beauty of New York City is that each neighborhood has their own distinct character and vibe. Sometimes, you might not even feel like you’re in NYC anymore. Greenwich Village comprises of the area South of 14th St. and North of Hudson St.
Broadway is the Eastern perimeter and the Hudson River the Western. is a real-estate invention so areas of the L.E.S. could gain the cachet of the actual Village. I think Weehawken Street is shorter than Gay Street. Street and West Tenth Street, near West Street.